Looking for a trike to move heavy cargo? The Sun Atlas Cargo Trike is built with a over-sized steel and features a reinforced deck to haul loads up to 250lbs. It's Safety Yellow glossy paint helps you be seen too. 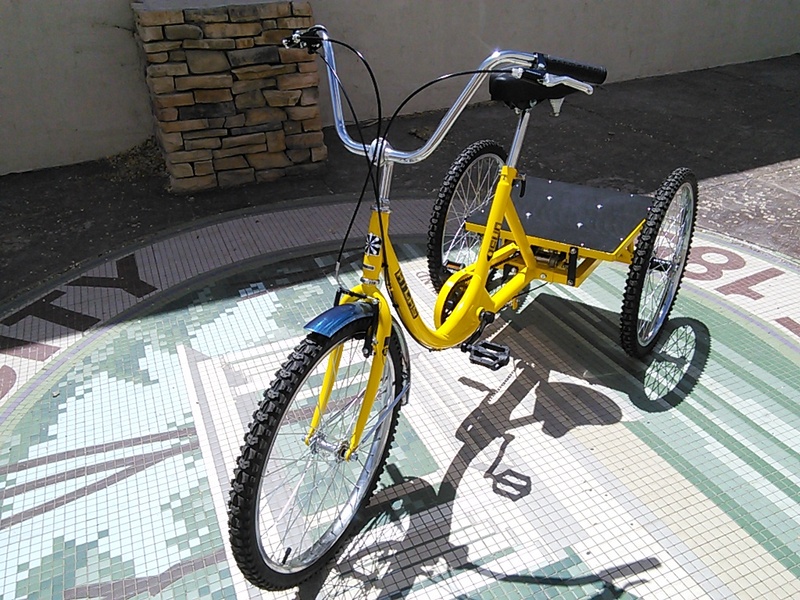 We equip the Sun Atlas Cargo Trike with a 3-speed coaster brake transmission. It also includes locking brakes on both the front and rear. That's three brakes total! And, because it is designed to be used and abused we made the fenders standard as well as the quick adjust seat post.